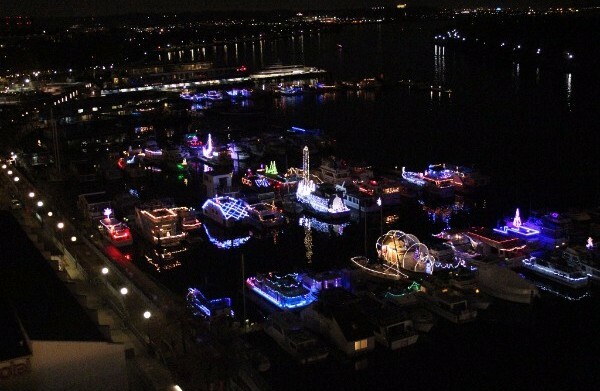 All Wharf Gangplank Marina Slipholders are invited to decorate their vessel for the holidays. A distinguished panel of judges will select 1st, 2nd, and 3rd Prize Winners. The party begins at 6:30 PM when we gather on the Events Barge. The entire community will stroll the docks to select the Community Choice Award. SLIPHOLDERS - PLEASE REGISTER TO HELP US WITH PARTY PLANNING - THANKS! NOTE: This event is sponsored by POWYC and is open to all POWYC Members. All POWYC Members are encouraged to attend. This event is free for all Wharf Gangplank Marina Residents and their family & friends. All other guests must join POWYC and become POWYC Members for admission to this party. POWYC Members not living in Wharf Gangplank Marina are reminded to bring their POWYC Membership Card for admission to this event.